Linde-Price Funeral Service takes great satisfaction in serving the many families of this great country's honored veterans. We are specialists in arranging veterans' funerals and memorials. 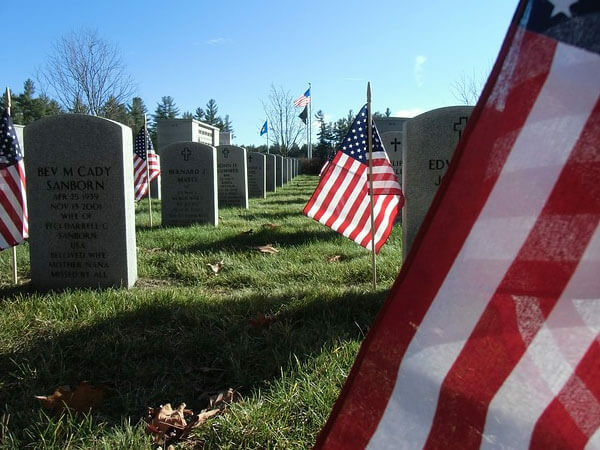 We carefully coordinate your loved one's interment with the appropriate branch of the service, their respectful military honors, and the national cemetery of your choice. Veterans who live in Western Washington are fortunate to have the beautiful Tahoma National Cemetery virtually in our back yard. It is located in Maple Valley, Washington, which is a small rural community midway between Seattle and Tacoma. We will answer all your questions, provide and assist you with any needed forms and documents, and eliminate any perceived complexity from making your veteran's arrangements. Tahoma National Cemetery is a relatively new facility and is part of a larger, very old group of cemeteries and soldiers' lots, managed by the United States Department of Veterans Affairs. The cemetery serves as a national shrine, and therefore its procedures have been designed to ensure that its beauty, dignity, and reverent atmosphere is preserved. Burial in a national cemetery is open to all members of the armed forces and to veterans discharged under conditions other than dishonorable. Their spouses, un-remarried widow or widower, minor children, and under certain conditions unmarried adult children, are also eligible for burial there. As a tribute to the great sacrifice of our many military veterans and a service to Linde-Price Funeral Service customers, it is our privilege to provide free transport of cremated or casketed remains to Tahoma National Cemetery from anywhere in Western Washington.